When the kids are off from school, our School Break and Summer camp programs offer kids, ages 3 to 15 enriching and fun opportunities. Whether in our half or full day programs, kids participate in hands-on activities that both engage and inspire them to think beyond New York City. Our School Break Camp Program offers enriching and fun opportunities for children, ages 3 to 15, during their time away from school. Led by our skilled instructors, students are engaged in projects and activities that provide an exciting, science experience for every student. The program also fosters creativity, critical thinking, collaboration, and problem-solving, skills that are needed for success in the 21st century. 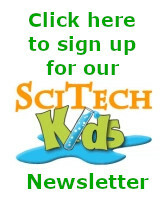 SciTech Kids is offering the following School Break Day Camps this Fall. Classes are based on age groups: Explorers, Adventurers, Investigators, and Techies. 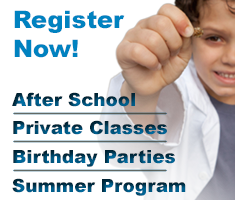 For more details about our School Break Program, contact us by email or call (212) 804-7055. To register for our School Break camps, click here.